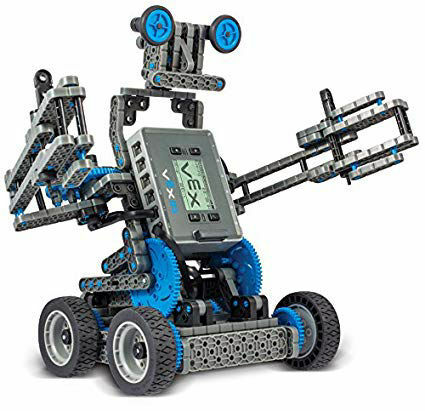 The Vex IQ kits are fairly new. It is a direct competitor to the popular Lego Mindstorms robotics kits, so is similar in some ways, but also has some features that gives it a bit of an edge. We have taught extensively with both the Lego Mindstorms NXT and the VEX IQ, so here is our review based on that experience. The kit comes with a couple of nicely laid out user manuals, with clear instructions on how to assemble a small robot. Its easy to follow, but will take some time. Best done with a group of students over a few lunchtimes. You can follow the instructions through all the way and you will end up with a very cool, 'Clawbot' which is designed to use both in the classroom and also for the VEX IQ competitions. We tend to stick with the initial base part as it works well for the activities we run during our workshops. Overall, if you want to build a robot, setting up the kit so that its ready to use will take a couple of hours per kit. 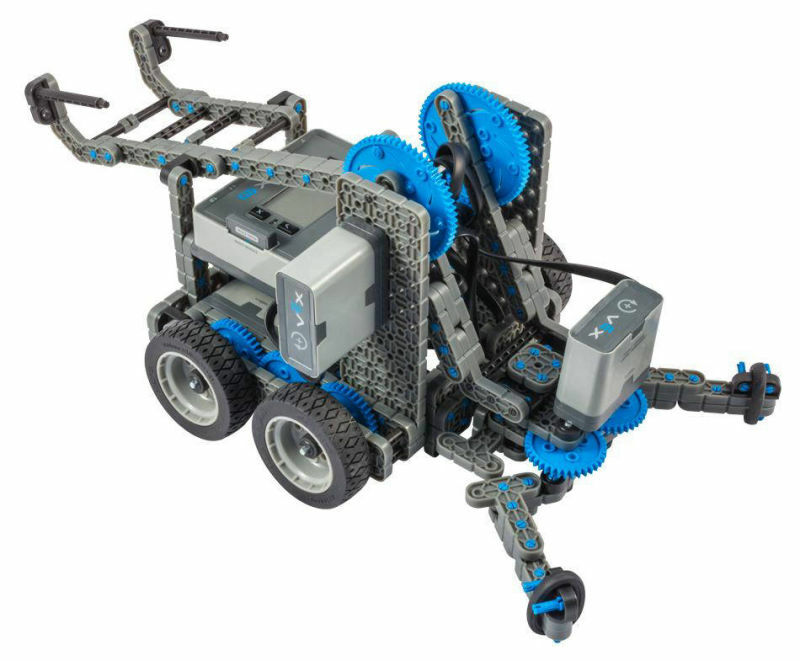 VEX IQ offers a few different options for programming. 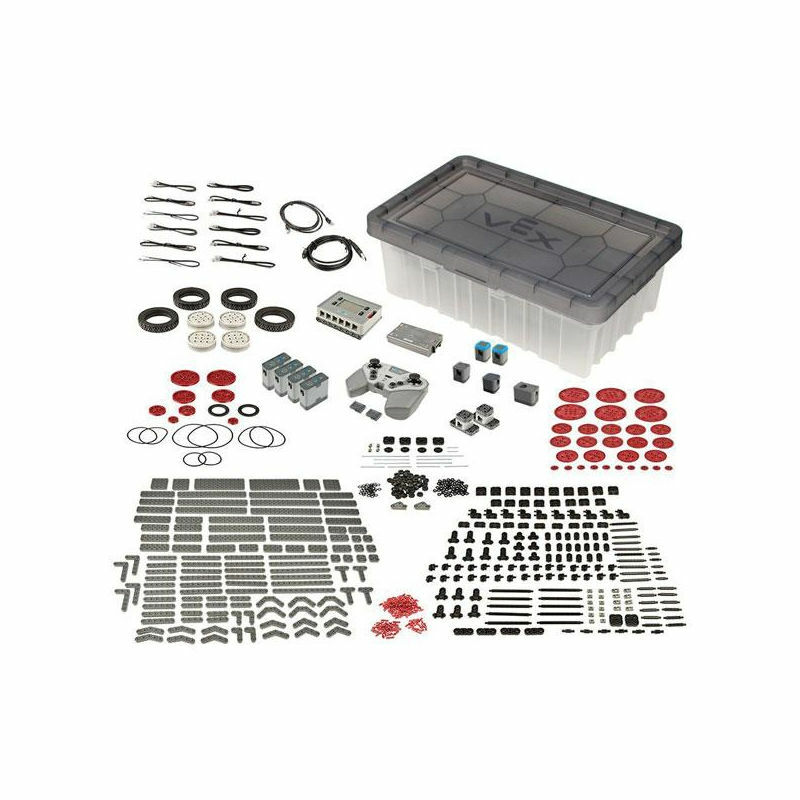 If you are using this with Primary Schools or KS3, we highly recommend their Modkit for Vex Software - it is essentially Scratch, modified to work with this kit. Your students will recognise the interface making it much easier to engage them. 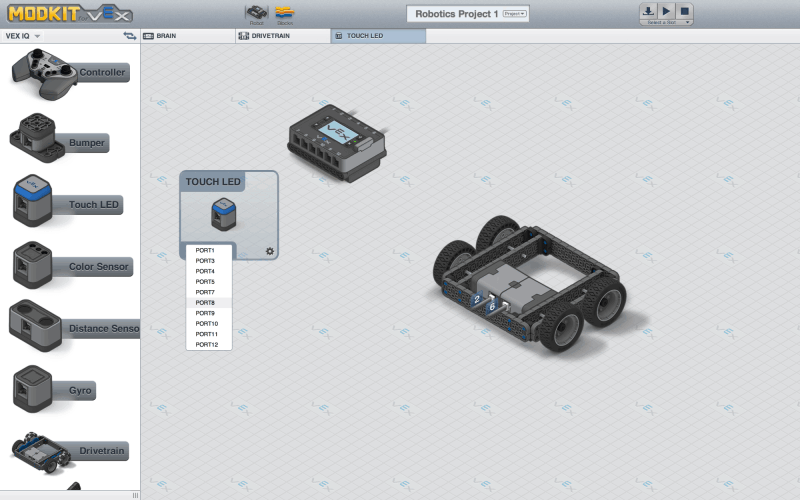 Other options include Python and RobotC, we will be reviewing these separately. One of the reasons we love VEX IQ is that it is easy for anyone to get started with this, regardless of your background. Building robots is always a bit of a challenge, but the illustrated guide is clear and easy to follow and with practice, it won't be long before you'll be building your own designs. 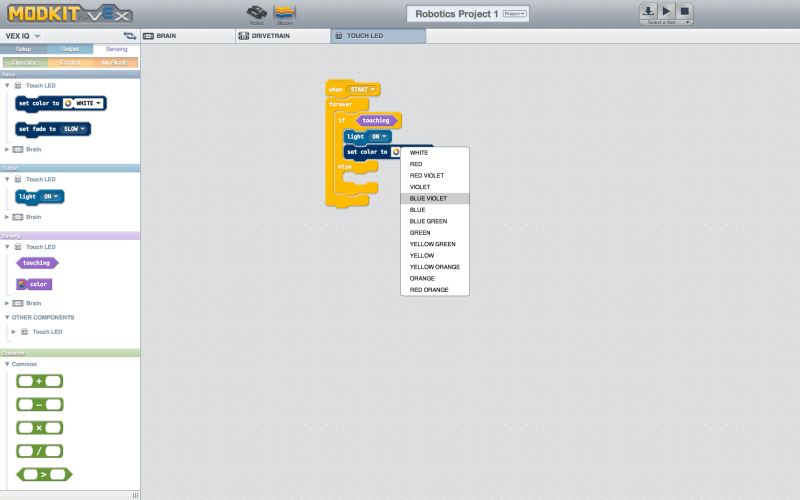 Because the programming software is built on Scratch, which most schools use, it is very easy to get started. Even if you've not used scratch, the blocks are labelled clearly and snap together, making it intuitive and easy to understand and progress. There is SO much to do with this kit! Progression will not be an issue with this. 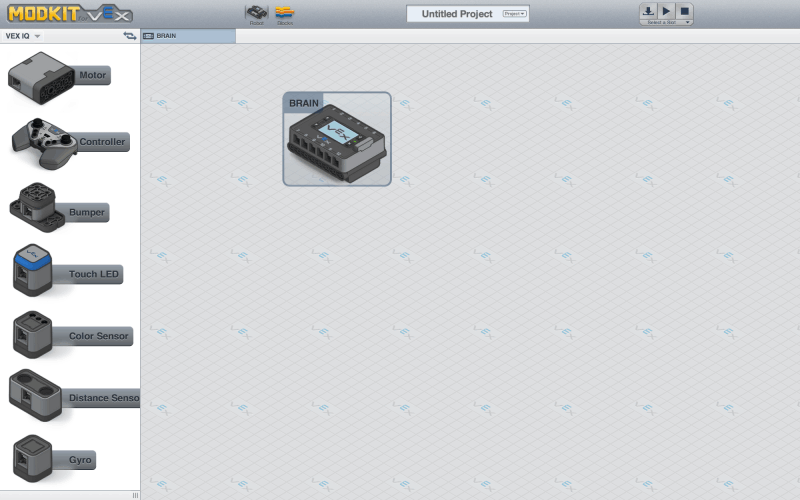 Because of the range of sensors and the amount of parts that are included there are numerous projects that can be completed. Then when you throw in the fact that it can be programmed with 3 different programming languages, things get even more exciting. Progression is definitely not an issue with this kit. The video below shows some maze solving with the Vex IQ Base robot, this is a session with no sensors with the aim of helping students to understand programming movements in detail and also to build some resilience. 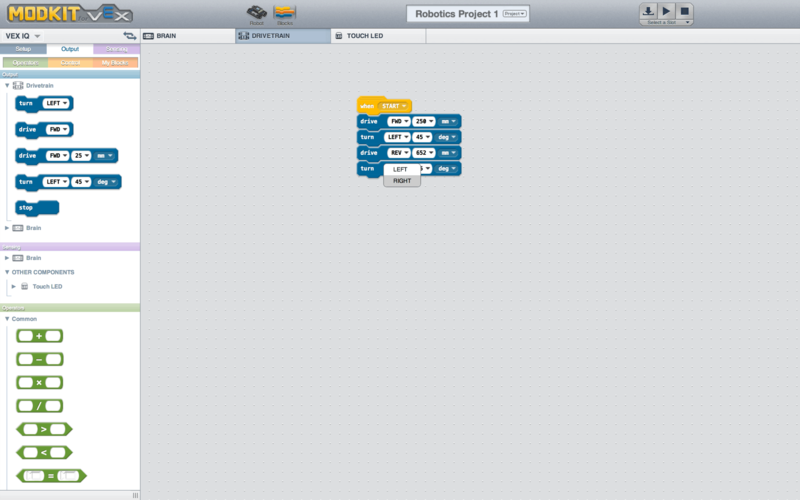 Because VEX IQ can be programmed in Scratch and Python, it ties in really nicely to most schools' computing curriculum. This is a major plus. 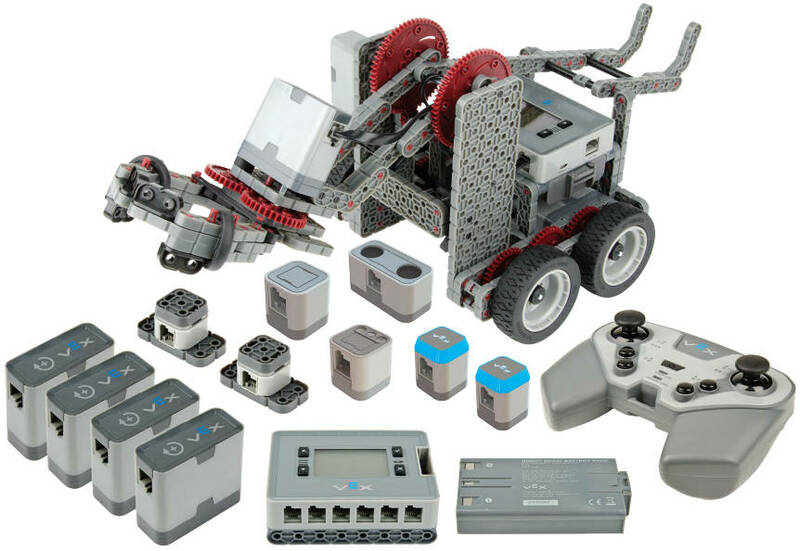 We wouldn't hesitate to recommend using this robotics kit as part of your syllabus, for example if you wanted to do a module on programming fundamentals or an introduction to Python, VEX IQ activities would be a nice way to do this. 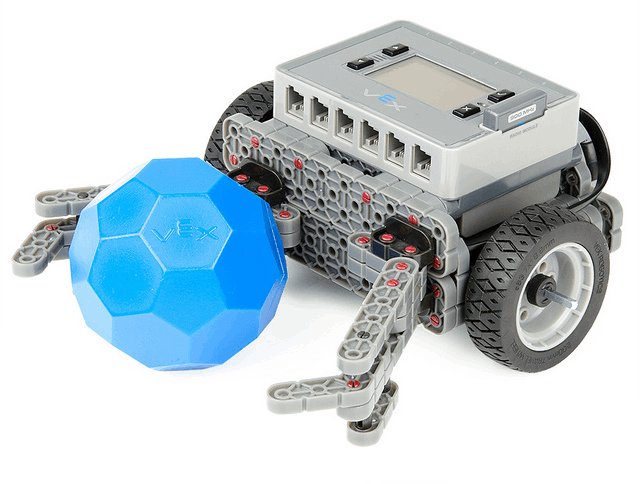 The Vex IQ kits start at around £300 per kit, which we feel is pretty good value. Overall this is an excellent kit, highly recommended if your school has the budget, as it will be a long term investment.